There’s no question that the American waistline is expanding. In fact, more than one third of the U.S. population is now officially obese while the number of people classified as morbidly obese jumped more than 350% in the past three decades alone. With a growing number of the population facing these unhealthy numbers there is no shortage of weight-loss companies looking to profit from this calamity by offering weight management pharmaceuticals, nutritional supplements and other diet plans. In the U.S. alone the weight loss industry is worth more than $61 billion in annual sales. Of course, as dividend income investors we are mostly interested in the companies in this sector that can pay us sustainable and increasing dividends year in and year out. With that being said, let’s take a look at some of the dividend paying stocks in the the weight management industry. First up is GNC Holdings Inc. (GNC). GNC operates as a specialty retailer of health and wellness products via its network of approximately 8,500 worldwide retail locations and through various online outlets including GNC.com, LuckyVitamin.com, and DiscountSupplements.com. Besides for selling vitamins and other nutrition products GNC also retails many diet products and weight management supplements as well. GNC currently has a slim yield of 1.70% with a slender payout ratio of 22.5% base on current cash flow. From a valuation perspective GNC has a current PE of 13.60 which is well below the S&P and industry peers alike. Forward PE looks a little more enticing at 11.85. Next on our list of companies in the weight management sector is Nu Skin Enterprises Inc. (NUS). NUS develops and distributes various products relating to skin care, personal care products, supplements as well as distributing the TR90 weight management and body shaping systems. Currently yielding a generous 3.10% yield with a moderately low payout ratio of 33.3% this stock definitely has room to increase its dividend going forward. A solid dividend payer having raised its dividend for the last thirteen years, NUS also has a very impressive ten year annualized dividend growth rate of 15.67%. That’s the type of dividend growth any dividend investor would love. From a valuation perspective, NUS has a very slim current PE of 8.63 putting it well below the S&P and industry peers like GNC above. Forward PE is slightly higher at 9.7. Finally, our thinnest dividend paying company, based on market cap, in the weight management sector is Nutrisystem, Inc. (NTRI). A company that really needs no introduction as their television ads seem to persist on a never ending basis, NTRI provides weight loss programs for men and women by focusing on selling portion-controlled prepackaged food items based on low glycemic and other metabolism friendly indexes. Of the companies mentioned, NTRI offers a plump yield of 4.50% with an equally heavyset payout ratio of 111.1% based on current cash flow. Having a relatively short dividend paying history, NTRI does have a moderate five year annualized dividend growth rate of 5.92%. Nothing too large to get excited about from a growth perspective but at least you are receiving a generous current yield. On the valuation side of things, NTRI has a current high PE of 43.20 suggesting share price has really run ahead of current cash flow. Forward PE looks much more reasonable at only 20.05. This might be an interesting pick for a dividend portfolio looking to juice its current yield. Though suspending its dividend in 2014 I wanted to simply give mention to one of the more controversial weight management companies to make headlines in recent years, Herbalife Ltd. (HLF). One of the larger companies in the space, HLF has been on a rocky and volatile ride during the past year and though sporting a low PE of 10.06 and seemingly more of a buy at current prices, I simply am not interested as it is no longer a dividend paying stock. 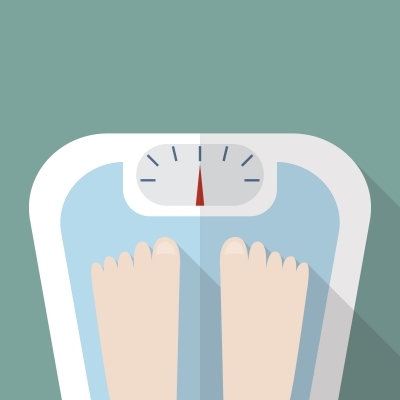 Clearly, despite being such a huge industry in the U.S., there aren’t may choices when looking to invest in the weight management space, from a dividend perspective at least. The companies mentioned do provide at least some entry into the space for those looking to buy income producing stocks. Do you have any exposure to the weight management sector in your portfolio? Please let me know below. Thanks for sharing the list, DivHut. I was expecting to see Weight Watchers on this list…or is that not a dividend payer? I havent looked closely at any of these stocks. WTW was a dividend paying stock but ceased distributions in 2013 which is why it did not make the list. WTW like HLF are both big names in the weight management space but do not currently pay dividends. Healthcare stocks and healthcare REITs are another way to play this angle but I wanted to focus on specific weight management companies instead. Thank you for stopping by and commenting. With this type of company has big risk as big as the growing american waistlines. They are more prone to law suits regarding health issues and side effects. But then again without risk there is no reward. So true, no risk = no reward. However, a lot of these companies are very regulated in terms of what they sell to the public and any weight management claims their products make usually have strict guidelines. It’s a unique business to say the least but one that is unfortunately very popular in the U.S. Thanks for stopping by and commenting. Thanks for sharing these companies but I wouldn’t invest in these companies personally. I’d rather invest in companies that provide healthy alternatives. Companies like Whole Foods. Thanks for sharing your opinion regarding investing in this sector. As you point out, investing in “health” can take many forms, whether we choose to invest in healthcare REITs, pharmaceutical companies, weight loss/management or even healthy food distributors there are literally hundreds of companies to choose from. The focus on weight management companies from a dividend perspective is often not cited even though there are some companies that pay a pretty hefty yield. Thanks for commenting. Thanks for the article Divhut! I like these type of articles that introduce us to some of the lessor known companies that aren’t really on the radar for most. I’m still building my core holdings for the time being, so won’t be branching off too much until I can get some full positions. Thanks again for the posting! Happy you can benefit from reading about some of the lesser known companies and industries in my articles. That’s part of the fun about writing about different dividend stocks. Sure, I enjoy mentioning the big names every now and then but sometimes you want to hear about other opportunities in the dividend paying sector. Build out your core portfolio and when you are ready to venture out into “other” dividend paying stocks DivHut will be here. I appreciate you stopping by and commenting. Pretty interesting. NUS doesn’t look too bad from your facts stated above… interesting. I may have to read their recent quarterly filing and take a look. Definitely an interesting space to be in. This was similar to my belief such as the aging population and investing into retirement home community stocks. Thanks for the post DH, hope your weekend is well! It’s all about trying to identify major themes and finding investments that correlate to those themes. It can be the aging population in the U.S. or the unhealthy bodies that populate the U.S. No matter how you look at it, healthcare is a huge industry in this country that only seems to be growing. I appreciate you stopping by and commenting. Good list, but I wouldn’t touch these with a 10 foot pole, especially NUS and HLF. I’d highly recommend people check out Sam E. Antar’s SeekingAlpha articles on them both; he feels that they are both fudging their numbers and that they’re pyramid schemes. Really interesting stuff. Well, HLF definitely has seen its share of controversy in recent years. Whether their business models come into question or large short positions being taken from activist investors, I agree that these stocks, though dividend payers, may not let you sleep well at night. Still, it is an interesting industry that seemingly caters to an ever growing number of people who require help managing their weight. Thank you for sharing your opinion. While I have heard of all of these companies, I’d probably want to get my healthcare exposure somewhere else. Too many claims being questioned and too much controversy, and I just don’t know how their products work. As usual, loving these themed articles! I can totally understand where you are coming from. There are many other healthcare names or REITs that are much less controversial with more traditional business models. Still, the names mentioned in the article can present some interesting dividend opportunities as well as capital appreciation. As always, I appreciate your comment. You’ve caught my attention on NUS. It’ll take some due diligence, but I like the broad strokes you provided above. I love the overall health industry as I feel it’s going to continue growing over time. People are becoming more and more concerned with these issues and they’re willing to pay to play. A good friend of mine has been actively trading HLF over the past year (maybe more, can’t remember how far back) as Icahn was battling it out with Ackman. I was following that drama as a result and it made for some good entertainment – though I never put a dollar of my own on the line there. It was more like a soap opera. The weight management industry is definitely not without controversy and drama as evidenced by the recent turmoil in HLF. If you are looking for some action in stock prices all the while collecting dividend payments, this may be the sector to invest in. The bottom line, as you mentioned, the health industry is only one that is growing whether you look at the large pharmaceuticals, health REITs or weight management stocks there’s no shortage of investment opportunities in the space. Thank you for stopping by and commenting. Interesting niche market to look into. Where the Div yields calculated before or after the recent market pullback(most seem to have a highish beta)? I’d think that generally their lower div yields are due to the companies putting more of their cash into growing the businesses. A growing business means growing cash-flow and future dividends though! All the dividends were calculated in the midst of the market pullback. Still, it is an interesting niche to consider in terms of dividend yield and growth as this sector was not without controversy in recent years. If looking for a little excitement with your dividend stocks these names might be the place to look. Thank you for stopping by and commenting. I recently bought NUS. Wondering if I should have if things don’t go well in China. A few of my readers also mentioned it’s business model is questionable. That got me reading more about it. The company looks good on paper but could easily change if regulations/restrictions are put in place. Guess you could say the same thing about tobacco companies. I’m not sure why this sector has a “shady” factor associated with it but your mention of NUS and HLF for that matter always seems to attract the questionable practice of their business models. Some claim these companies are nothing more than pyramid sales schemes while others simply question their product offerings in general. There’s no question that the weight management business is a large and profitable industry. The only question is how to go about investing your money into some of these dividend producing companies. Thank you for commenting. NUS seems to be the best one on here. Best mixture of yield and value. Shame that the weight-loss industry might become one of the future “great American industries”, like the railroads. Glad you enjoyed this piece. It’s definitely a comment on the American lifestyle as the weight loss industry has only expanded over the years because of a need. As always, I appreciate your comment.